…according to George Will, noted conservative. Does that mean that Carl Rove is Cervantes? I guess that makes Obama the windmill. 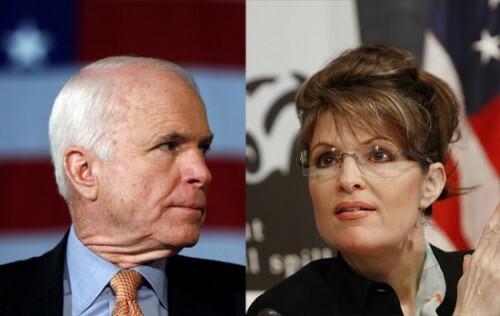 The more I see Palin next to McCain, the older McCain looks. He’ll either lose the election, or die in office, of “old”. Oh, come on, Media. Just show McCain looking straight ahead. His gland isn’t going to lose him the election. HAY GUISE REPUBLIKENZ ARE STOOPED! JON MACKANE IS OLD LOLOLOLOLOLOLOLOLOL! I AM SO CLEVUR WITH MY POLITIKAL JOKES! Dudes, is this picture saying that these two are mavericks?